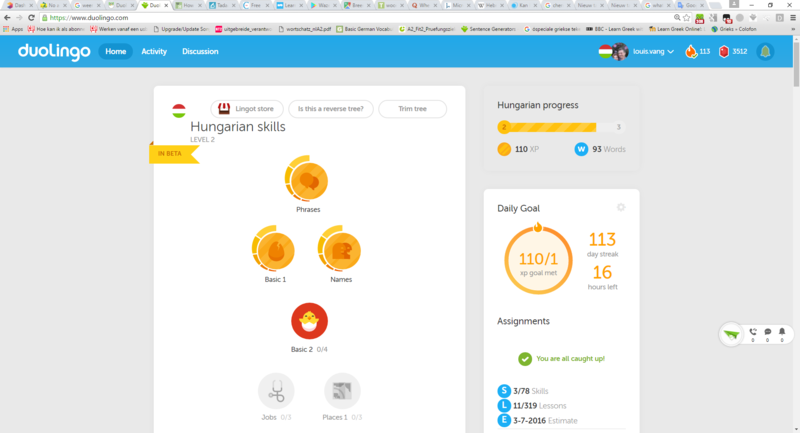 After ten lessons (2 skills) in the Hungarian tree, Duolingo calculates that i will reach the end of the tree in one day??? What script is the prediction one? You need to install Tampermonkey (if you use Chrome or Opera) or Greasemonkey (if you use Firefox) and add the code from there. Here you can find a list of userscripts; my favorite are the Course Switcher and the Tree Trimmer! How did you even get that script?